At California Smiles Family Dental, we specialize in solutions that can treat teeth misalignment and bite problems. Our team is composed of world class orthodontists who are among the most certified and experienced in the Escondido area. Misshaped teeth can be an irritating problem to have, Dr. Irene Bozir and her outstanding team of orthodontists can provide the expertise to help you recover a smile that will emanate beauty and perfect health. The field of orthodontics addresses problems that cover teeth alignment, structure, and functions. Among our most recognized treatments are braces, these are metal appliances that deliver an effective mode of straightening for your teeth. They correct the alignment of your teeth by gradually exerting pressure, which causes them to move to their natural positions over time. 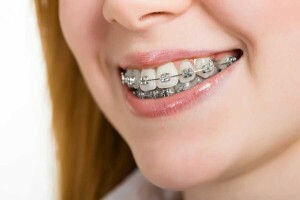 Braces may require additional maintenance and adjustments to your oral activities. Through the correct post-treatment practices, you can enjoy a straightened smile that will renew your confidence! Dr. Irene Bozir is an outstanding Orthodontist who has worked in the Escondido area for years. Her team will gladly welcome your visit and take care of your dental health. Please call us today to schedule a complimentary consultation!